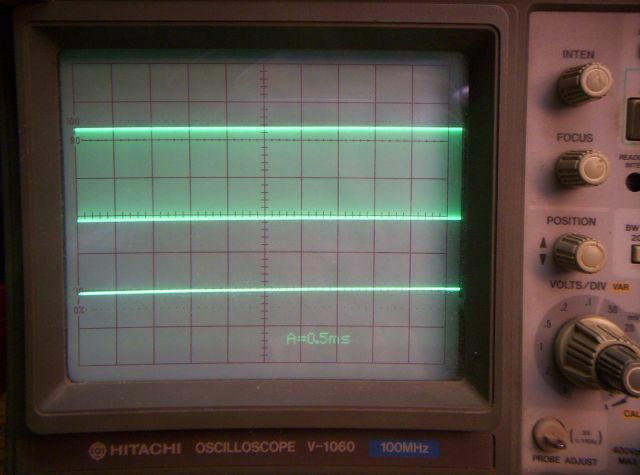 with the modulation input signal (lower trace). The rise and fall times of the pulses have been retarded slightly to better show the transition area. Sweep speed is 0.5 mS/div. 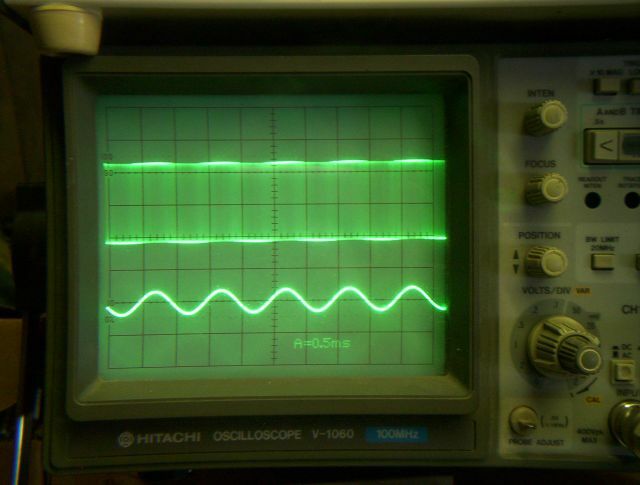 Note that with no input signal (flatline) the pulse transition area appears uniform in brightness. 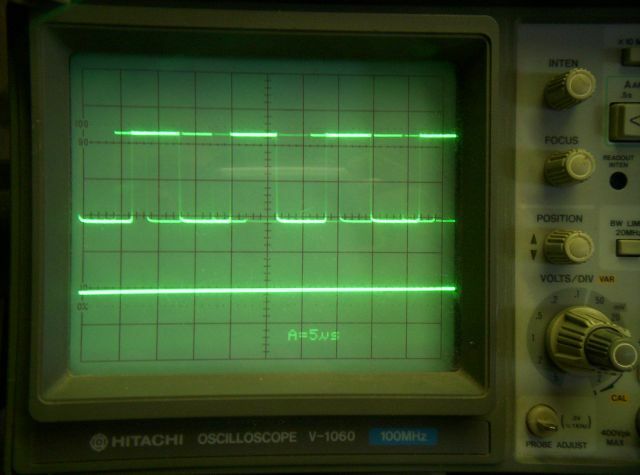 With an input signal the pulse transition area appears to be shaded with areas of varying intensity. 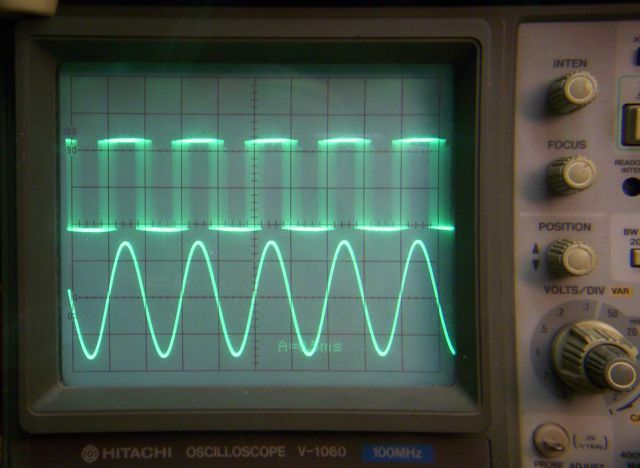 The intensity shading corresponds to the density of the output pulses. See, those are separate pulses!